Being from near Newcastle means I’m pretty much at the opposite end of the country to the & Other Stories shop in London. Every time I check the site, I always wish they would open a store up here, but alas, that’ll probably never happen. So, I decided to bite the bullet (and the £6 delivery charge, sigh) and order some things I’d had my eyes on for a while. I adore all of their clothes, but as I’m unsure on sizes, I stuck with a pair of shoes for my first purchase. 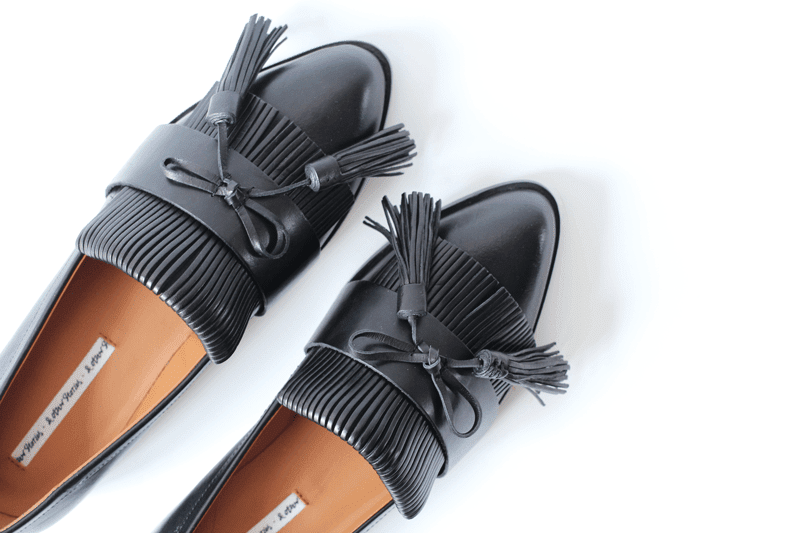 I went with these tasseled leather loafers which are rather lovely, don’t you think? I actually returned them as they didn’t quite fit right (being in between sizes is a pain sometimes!) but I shall be scouting out some more pairs for future purchases. 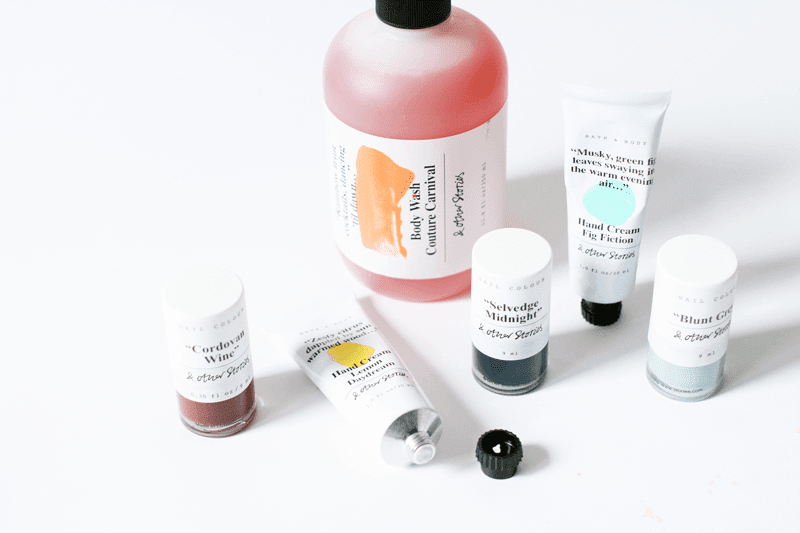 I couldn’t not get my mitts on some beauty bits, so a few pieces ended up in my basket. I wanted to get some small bits at first, as I wasn’t sure about the scents, but each one is as delicious as the next. To start, I opted for the Couture Carnival Body Wash, which smells like sweets. It’s honestly heavenly! I snapped up two hand creams, one in Zesty Lemon and the other in Fig Fiction, after it being so highly praised in blog world. They’re both lovely and I really like the light, yet hydrating, formula. Lastly, some nail polishes in the shades Cardovan Wine (a beautiful dark plum red), Selvedge Midnight (a deep navy) and Blunt Grey (a gorgeous light grey). I’ve tried all three now, so be sure to look at my instagram for the colours. I’m definitely going to visit the store when I’m in London in November with my sister. I’ll probably come back with something from every range, no doubt, plus half of the ready-to-wear selection. Oh, & Other Stories, it’s love so far. Do you like the store or can recommend any other things to pick up?